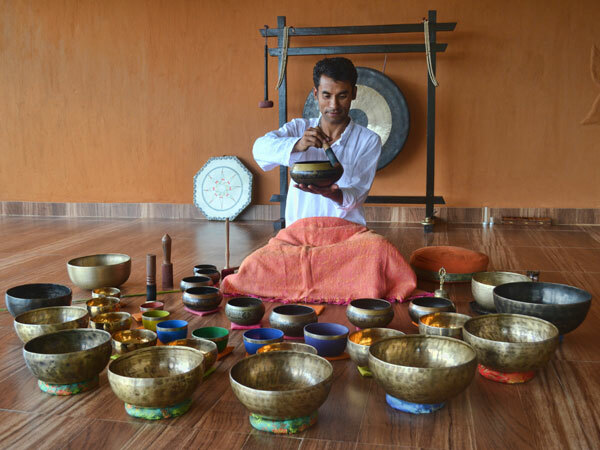 Manohar comes from a family with a long yoga tradition and he has been introduced to this ancient science at a young age. Manohar has been practicing yoga for over 18 years and he has completed his pre-teacher training in 2006 and his yogic studies certificate in 2008 at the Bihar School of Yoga, Munger, India and RYT 500hr certificate in 2014 from Rishikesh Yog Peeth, India. 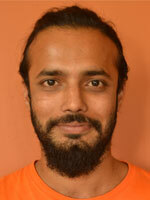 Today Manohar is a very knowledgeable and caring yoga teacher. 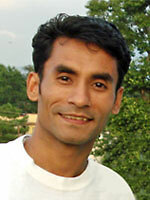 He has several years of experience teaching yoga to Nepali children and youths. 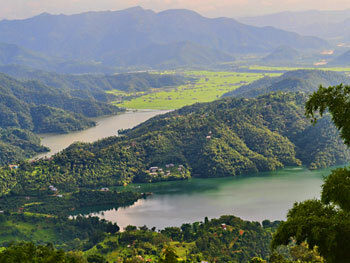 He also worked as a yoga instructor and manager at a renowned yoga retreat centre in Pokhara for two years. At present Manohar manages Purna Yoga Retreat Centre www.purnayoga.com.np as well as coordinates operations of Nepal Yoga Trek. Manohar holds a Bachelor in Travel & Tourism and he has completed Advanced Mountaineering and Mountain Rescue course from Himalayan Mountaineering Institute in Darjeeling in 2000. He has become a licensed trekking guide in 2003. 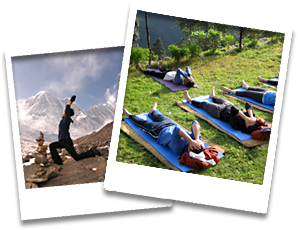 His profound knowledge of trekking in Nepal, yoga and management are instrumental to his success in giving satisfaction to his guests and have paved the path for Nepal Yoga Trek to become a very successful and popular concept. Exceptional customer care and attention to detail is at the core of Manohar's recipe for an unforgettable yoga trekking experience in Nepal and he applies this philosophy in the day to day running of Nepal Yoga Trek & Purna Yoga Retreat Center. Manohar can speak English, Hindi, and a little Japanese. He is fun-loving and, because of his family background, has special knowledge about the Newari culture and language. Maheswar took up the practice of yoga at the age of fifteen and from 1993 to 1996 he underwent 3 years of formal yoga training after which he started to work as a yoga instructor in Kathmandu. He received his advanced yoga training at Arogya Dham Yoga in Nepal in 2000 and was consequently invited to work in Singapore for two years to pass his extensive knowledge and profound understanding of yoga to the citizens of Singapore. Maheswar completed his diploma in Yoga Teacher training at Yoga Vidya Gurukul in India in 2007 and has been a keen promoter of the benefits of yoga since he first started his own practice, vividly remembering his immune system as being very poor, making him suffer from high fever, stomach pain and tonsil problems two or three times a year before he became involved in yoga. Through his diligent daily practice he noticed major improvements to his health and once he realized the benefits, yoga became a part of his life and life style. Maheswar firmly believes that everybody who practices yoga regularly will definitely see improvements in their health and that any type of health problem can be remedied this way. Maheswar is a licensed trekking guide, he also holds a bachelor degree in management and is a qualified accountant who loves to admire the wonders of nature while on the trek with his extensive knowledge of local fauna and flora. Maheswar also enjoys playing tabla as well as singing kirtan and mantras. Chandra Hari has first become interested in meditation and yoga more than 20 years ago and his first experience has sown a seed which was going to bloom later in his life. Chandra has been working as a restaurant manager for many years until 10 years ago he developed depression and feelings of dissatisfaction with life. First he searched for help from conventional channels and when he hasn't gotten better, he turned to yoga, meditation and natural healing where he found relief at last. Since that time Chandra has been actively involved in yoga and meditation practices of various masters' lineages. He has been initiated into Kriya Yoga and he has completed his Yoga Teachers Training from Patanjali Yog Peeth in Haridwar in 2008. Chandra has co-founded a Dynamic Health Group in his hometown of Bhaktapur, where he provided group support, training and meetings to people interested in yoga, meditation, natural health and personal empowerment. Chandra has joined Purna Yoga in 2012, he is passionate about trekking and he became licensed and a very knowledgeable trekking guide since then. He says that he felt a calling to be near the mountains and he enjoys his work immensely in combining yoga with trekking. Chandra's dedication, his passion and his friendly demeanour make for a very memorable experience for guests under his care. Kush moved from India to Nepal in 2015 soon after completing his yoga teacher training from Parimukti Academy in India. Kush comes from a family with strong Hindu traditions where attending festivals and rituals has always been a part of life, with Bhakti practice being a major influence for his family. In early 2018 Kush underwent a Yoga Therapy course with Yoga Vidya Gurukul and Iyengar Yoga course in India. He has been teaching Hatha yoga, Asthanga yoga and meditation with Purna Yoga Retreat since 2016 and in 2017 he has also started to lead our yoga treks. Kush loves to be in nature and in peaceful surroundings so combining yoga with Nepal’s stunning mountainous scenery is a perfect blend for him. 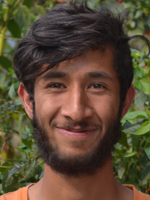 Kush divides his time between carrying out yoga activities at the retreat center and leading yoga treks as well as visiting his family in India in his free time. Kush has deep interests in studying the philosophy of yoga and philosophies of Hindu, Buddhist and Jain traditions to learn about the truths of life and death as presented by different viewpoints. Is ultimate dream is to have a small house in the mountains, a farm with cattle and to enjoy peace and the beauty of nature. Raj Kumar is one of the newest members of Purna Yoga team and he has already proven himself to be a great asset to our organization. 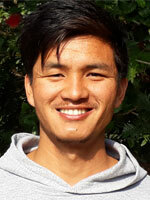 Raj Kumar comes from Banepa, Kathmandu and he has been exposed to the yogic lifestyle since early years. His uncle is a local yoga teacher and he inspired Raj Kumar to get involved in the practice since his childhood. When Raj Kumar started his regular practice of yoga several years ago, he noticed that he was able to alleviate his physical ailments like chronic back probems, constipation and improve his overall wellbeing and flexibility. This has inspired him to complete a month long Yoga Teacher Training in Patanjali Yoga with Patanjali Yog Samithi in Kathmandu. Soon afterward he has joined Purna Yoga as he decided to make yoga and trekking part of his life in a professinal capacity. In the future Raj Kumar plans to complete his Trekking Guide Training and expand on his yogic knowledge through regular practice and deep study. In 2018 he completed Yoga Alliance certified 200hr Yoga Teacher Training at Rishikul Yogshala. His interests include playing instruments like harmonium, tabla, djembe and he is also a good singer. Raj Kumar likes to explore new places and he loves beining in nature. 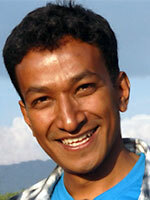 Dinesh comes from a small village in Makwanpur district. He started working with Purna Yoga & Treks in 2012 and his first job was working as a cook and porter during our yoga treks. Dinesh has shown a great potential from the start as he worked hard to improve his command of English language and his many other skills through practice, learning and dedication. 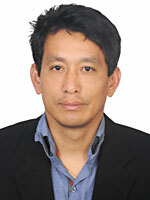 In 2013 he has received training as a trekking guide and in 2014 he was awarded a professional trekking guide license issued by the government of Nepal. That same year he also underwent a pre-teacher training course at Purna Yoga organized by Nepali and foreign teachers. From this moment he realized that we wanted to make yoga a part of his path of life and he has been learning and gaining experience in our yoga treks as well as yoga studio and retreat center ever since. Dinesh has been working as an assistant yoga teacher in our yoga treks since 2016 and in 2017 he has started our in house yoga teacher training. In 2018 he completed Yoga Alliance certified 200hr Yoga Teacher Training at Rishikul Yogshala. Dinesh’s goal is to always improve his knowledge and experience and he wishes to lead many yoga treks into all parts of Nepal. 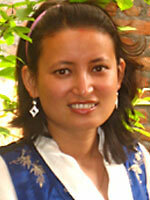 Shuvechhya completed her Management study with major Marketing and Finance from Tribhuwan University of Nepal. After completing her graduation Shuvechhya had joined with President Tours and Travels in 2005. Her enthusiasm in tourism industry gave her an immediate push to work as a Sales Assistant and Sales Officer. Shuvechhya has gained extensive knowledge and experience in skilfully organizing all details of tour packages, issuing tickets, online marketing and she has joined Purna Yoga team in 2010. She has excellent communication skills and can deal with any task in an efficient and diplomatic way. She is hard working, easy going and a cheerful member in our company. 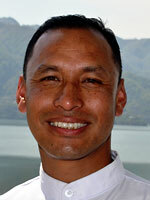 Giridhar Shrestha, a travel passionate is another key member of our personnel with a great sense of humor. Giridhar has 10 years of experience altogether in tourism industry. As a field manager and representative, Giridhar maintains a wide network of friends and has been a significant contributor to maintain broad network of contacts that Nepal Yoga Treks holds now. His enthusiasm for a great client experience from the moment planning begins keeps him focused at the helm of Nepal Yoga Trek, from where he has been planning and executing trekking tours and adventures throughout Nepal. We are blessed with a great group of highly experienced porters to carry equipment and trekking gear during our yoga treks. Their resilience, dedication and strength makes them our most valued members of the trekking team. Besides carrying baggages, our porters who are interested in developing their skills further, have a chance to learn the trade of trekking guides in time, which gives them opportunities for their future. Many of our porters are internship members from PEP Nepal organization, who are receiving a practical experience for their future career in tourism and hospitality industry with us. You will find that these enthusiastic porters are always ready to help and they will do their best to make your experience enjoyable throughout your journey with us. Nepal Yoga Trek is closely associated with PEP Nepal (People Empowerment Program Nepal www.pepnepal.org) a non-profit organization working for young people from rural areas by providing them essential training, education and generating an opportunity to choose their career in tourism and hospitality industry in Nepal. 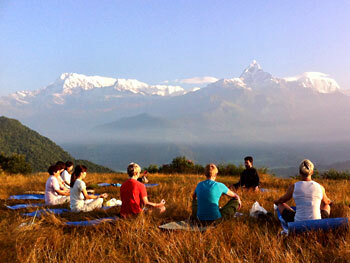 Purna Yoga Retreat is a dedicated residential centre for yoga and meditation programs with a heart and soul. 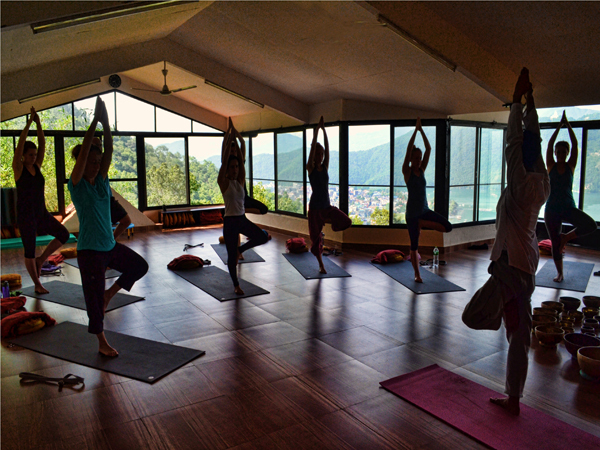 Whether you are looking to begin your new yoga adventure, deepen your existing yoga practice or just rest, relax and enjoy this tranquil yogic environment, our centre is the perfect place for you.